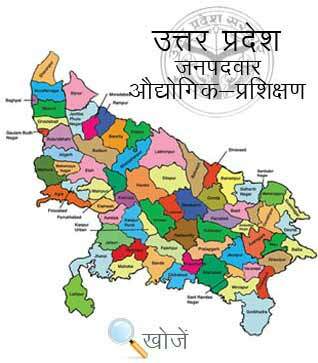 Jaunpur is a city and the municipal board in Jaunpur district in Uttar Pradesh. It is located to the northwest district of Varanasi and in the eastern part of the state on the banks of river Gomti. It is a historical city of Uttar Pradesh located on the bank of River Gomti and holds many famous monuments and holy places like Atala Mosque, Jami Mosque, Lal Darwaza Mosque, Old Sheetala Mata Mandir etc. Also Shahi Pul, Shahi Quila is a major attraction of the city. It is one of the famous Muslim Culture and Education Centre. Jaunpur is one of the biggest education hubs in the state. It has 50 Graduate and Post Graduate Institutes, 200 Under- Graduate Colleges and more than 300 Colleges up to High School. Veer Bahadur Singh Purvanchal Institute, Raj Bahadur Post Graduate College, Sarju Prasad Mahavidyalaya are some of prestigious colleges of the city. It boasts Women colleges like Bharati Mahila Degree College, Muslim Girls Degree College, Gulabi Devi Mahavidyalaya etc. The city also has three government ITI’s namely Government ITI Siddiqpur, Government ITI Sabrahad, Shahaganj, nd Government ITI Usrayu along with Private ITI’s College like Adarsh Private ITI, Asha Private ITI, ,Indrapati Private ITI and many more on the list. Vyavasayik Pareekha Parishad (www.vppup.in), Uttar Pradesh is responsible for conducting the entrance examination for admission to different courses in ITI’s. Students can also visit www.upiti.in that offers up to date information to the students regarding downloading online admission forms, examination dates, admit cards, checking of the results etc.